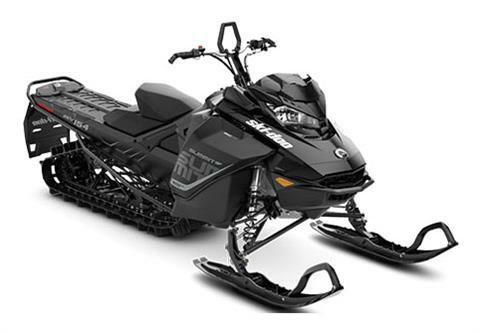 PDRIVE CLUTCH: A major factor in the quickness of REV sleds is the new pDrive clutch. Fast and friction-free dual rollers transfer torque in place of traditional sliding buttons on this 100% new clutch. The oversize rollers with needle bearings, wide flyweights and shaft-on-shaft design emphasize smooth operation and long life. Ultra-responsive shifting, impressive RPM consistency and 2.8 lb. (1.3 kg) lighter than the TRA VII. POWDERMAX LIGHT TRACK WITH FLEXEDGE: New 3.5 in. (9 cm) pitch reduces weight, and keeps snow between lugs for added performance. Exclusive 16 in. (41 cm) wide design adds flotation and traction without sacrificing manoeuvrability. Edges flex to reduce the effort to initiate roll-up. Available in either 2.5 or 3.0 in. (6.3 or 7.63 cm) lug heights. RAS 3 FRONT SUSPENSION: Similar geometry and design to the stable and precise RAS 2, optimized for the Gen4 REV platform with 1 in. (25 mm) added suspension stroke and .7 lb. (0.3 kg) reduced weight vs. RAS 2.